Whether you are on holiday or on a business trip to Orkney, 69 Kirklands Road is the ideal central location. Recently modernised, this cosy one bedroom (double) semi-detached house is situated in one of Kirkwall's residential areas. With an enclosed garden and parking at the front gate, the house is all on one level with steps and handrail to the front door and steps at the rear of the house. Patio doors from the living area open out to the garden bench overlooking the drying green and out over the rooftops to Scapa Flow and Wideford Hill. Kirkwall Airport is just an 8 minute drive away and the town centre a 15 minute walk. A town centre bus passes the house regularly. In and around Kirkwall are visitor attractions, shops, cafes, bars, restaurants, harbour and marina. The tourist information staff at the travel centre are only too happy to assist with your visit to Orkney. 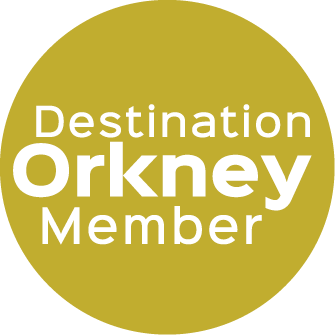 A drive out of Kirkwall in any direction takes you to more of Orkney's history, lovely beaches, follow the craft trail, visit villages and the town of Stromness. You must visit the Outer Isles too. A welcome hamper with a taste of Orkney awaits your arrival. Bookings are Saturday to Saturday but shorter breaks may be available, please ask.